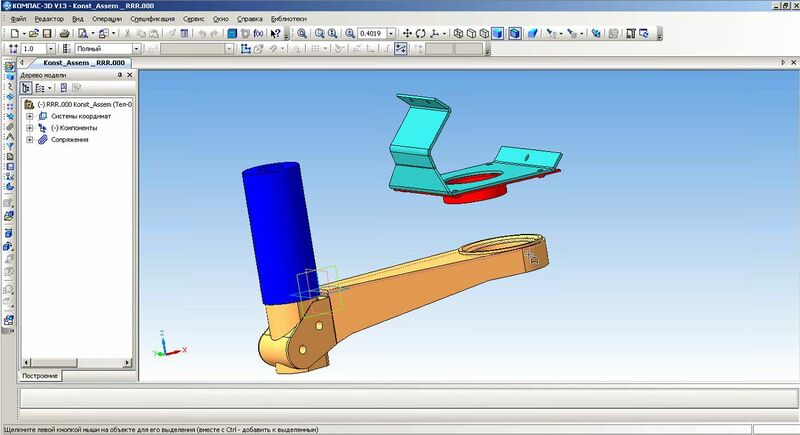 Dexma Labs is a business unit of ASCON, and they have developed the cioud-based Dexma PLM system for controlling and guiding the design process. DEXMA is meant for users working on manufacturing design projects in small and medium sized business. Dexma Labs launched the system at the beginning of September as open beta testi. But before it opened to the public, the head of DEXMA Labs Nikolai Nyrkov participated in a Webinar with our own isicad.ru. He described for us in detail the new ASCON unit, as well as the objectives of Dexma Labs and the capabilities of the new product. DEXMA Labs is an in-house start-up at ASCON, an investment by Russian’s largest CAD vendor in developing the next generation of design, logistics, and production control systems. Even though the project is fully financed internally by ASCON, Dexma Labs operates completely independently -- it is not part of ASCON’s other development teams. Dexma Labs formulates its goal as creating a competitive PLM system that controls the full design-through-production cycle in small- and medium-sized businesses. Geographically, its primary markets are North America and Europe, with Germany being the first target. After studying existing solutions, including those of ASCON, the experts at Dexma concluded that the integrity and pricing policy of existing systems did not meet the requirements of customers. Dexma executives believed that it is possible to achieve significant success in the PLM market by developing a new system without the shortcomings of legacy systems. At the same time, Dexma executives are not being idealists, for they recognize clearly that they already have a formidable competitor, Autodesk’s new PLM 360 system. 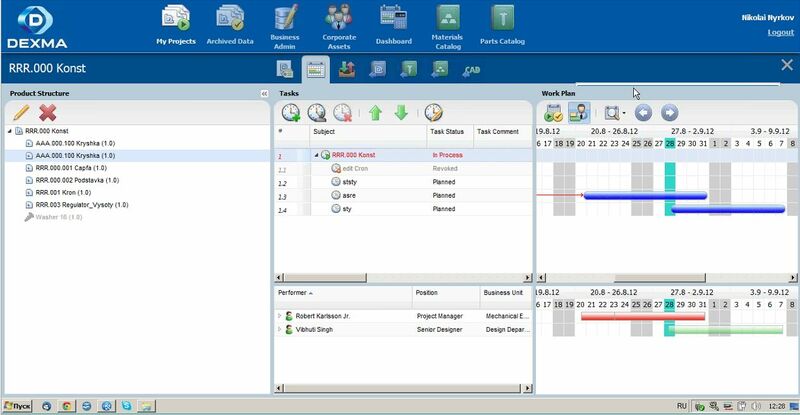 Now, it is true that ASCON already has in its product line a PLM solution named “Lotsman:PLM.” But DEXMA PLM will, however, be different in several areas. Firstly, it is based on the cloud, and so does not need to be installed or updated. Secondly, it provides both design control tools and references for tables of components and materials. Thirdly, while Lotsman:PLM supports only Russian production standards and uses Russian in its help system, DEXMA is necessarily oriented towards international design standards, and employs a multi-lingual help system. In any case, DEXMA targets a different audience. Primarily, it is meant for companies that operate according to “design and fabrication to order” and “assemble to order” systems. The primary purpose of DEXMA is to control designs and tasks, as well as product structures, documents, configurations, and changes. Naturally, none of this would be possible without DEXMA also implementing controls on materials and components through reference tables. DEXMA is supplied as an all-in-one solution; it requires no customization, and so users will find it easy to master. The system allows parallel operations with CAD files; indeed, a specific feature of DEXMA is its embedded 3D display engine. 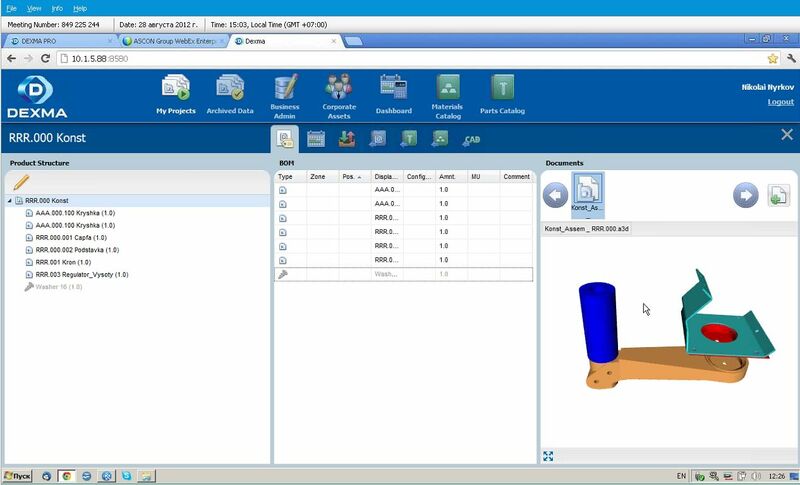 Users can add data from their local resources to databases of components and materials. DEXMA has an embedded program that generates standard components, such as fittings. When customers work with the public portal, all ofthem use a common database of materials and components. When running DEXMA on in-house servers, customers work with their own databases, without the interference of other users’ unnecessary data. When I asked what happens when customers stop making the monthly payments, Nikolai Nyrkov said that the system would continue to operate, but that upgrades and technical support would be cut off. It is early in the days of DEXMA, and so it is too early to judge how successful the system might become; only the reaction of users over time will show whether DEXMA proves to have a demand. Nevertheless, I think that the end-to-end coverage of company’s business processes and the attractive pricing policy gives DEXMA a good chance to become a recognized player in the cloud PLM market for small- and medium-sized business. Let’s wait a while and wish the developers every success.